Moonless February and March evenings present the best time of year to see zodiacal light in the northern hemisphere evening sky. The light appears when all traces of twilight have left the sky. It looks like a hazy pyramid of light in the west after true darkness falls. This light can be noticeable and easy to see from latitudes like those in the southern U.S. I’ve seen it many times from the latitude of southern Texas, sometimes while driving a lonely highway far from city lights, up to one hour or so after evening dusk leaves the sky. In that case, the zodiacal light can resemble the lights of a city or town just over the horizon. 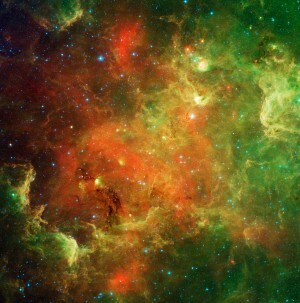 Meanwhile, skywatchers in the northern U.S. or Canada sometimes say, wistfully, that they have never seen it. You need a dark sky location to see the zodiacal light, somewhere where city lights aren’t obscuring the natural lights in the sky. Remember, the zodiacal light is a pyramid-shaped glow in the west after dark. It is even “milkier” in appearance than the starlit trail of the summer Milky Way. It’s most visible after dusk at this time of year because (as seen from the northern hemisphere) the ecliptic – or path of the sun, moon, and planets – stands nearly straight up with respect to the horizon after the sun sets in February and March. 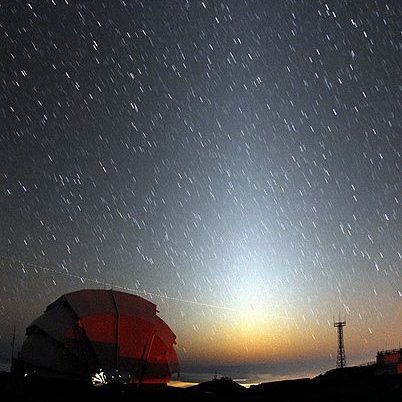 The zodiacal light can be seen for up to an hour after dusk. Unlike twilight dusk, though, there is no rosy color to the zodiacal light. The reddish skies at dusk and dawn are caused by Earth’s atmosphere, and the zodiacal light originates far outside our atmosphere. When you see the zodiacal light, you are looking edgewise view into our own solar system. The zodiacal light is actually sunlight reflecting off dust particles that move in the same plane as Earth and the other planets orbiting our sun. Previous Story: Local girls compete in Idaho track and field event.